Tumultuous clouds of the Carina Nebula, 8000 light-years away, glow in planet Earth's southern sky. Striking and detailed, this close-up of a portion of the famous nebula NGC 3372 is a combination of exposures through six different filters taken with the Hubble Space Telescope's Wide Field Planetary Camera 2 in April of 1999. 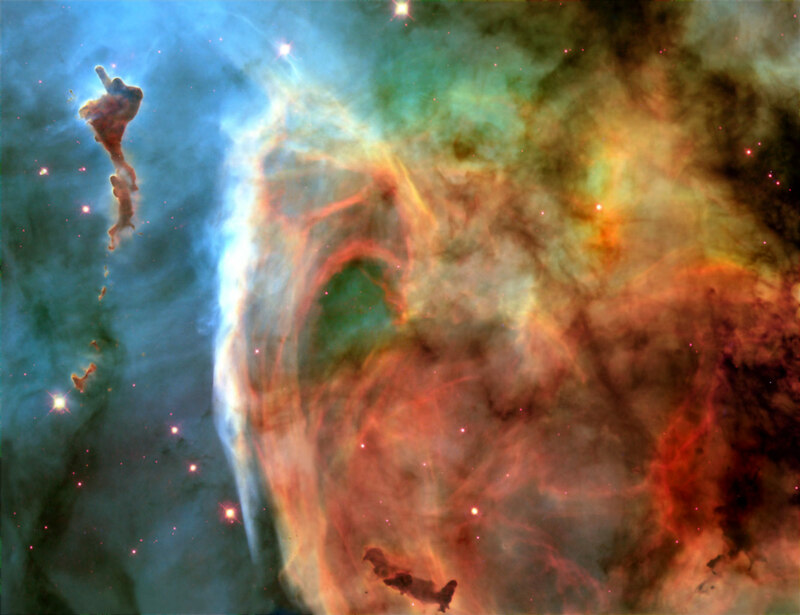 Dramatic dark dust knots and complex features revealed are sculpted by the winds and radiation of Carina's massive and energetic stars.